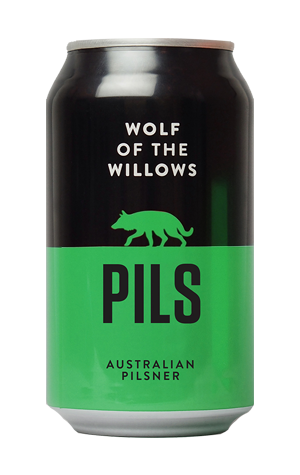 Wolf of the Willows' green tinnie is tagged as an Australian pilsner. With good reason too. It's brewed with all Aussie malts and locally grown Enigma hops too. Yet were you presented with the liquid in a glass and given no prior briefing you could just as easily believe you'd been given a pilsner from the other side of the planet. Indeed, a well travelled brewer we shared a beer with felt it wouldn't be out of place in a North German beer garden, the sort of setting in which you find some damn fine pilsners. A new version of the brewery's IPA is set to join PILS in fridges around the same time; it's a beer that was originally called the Homage IPA and you could describe this beer as an uncompromising homage to those highly hopped German lagers. It's bursting with floral aromas, sitting atop bready malts and with a bitterness that's broad, woody and keeps on coming. It's been lagered a long time before release and the results are there to be enjoyed.